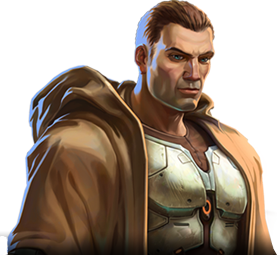 They are many, some give permanent bonus and some give Jedi crystal shards that are to be used in a long process. - Planet and waypoint (use map and with mouse report the X and Y values, and additional about the location. - The nature of the Datacron, Shards, Bonuses etc..
Also when you explore make sure to take time to visit each dark corners, some are inside quest instances. "No matter your Title is, your actions will speak for you..."
Nice initiative having a thread like this. Here is a list of some known Datacrons along with rewards, locations and walkthroughs. I don't think it's complete though. Hopefully it will be updated.